SOAP OPERA NETWORK: ‘The Bays” ‘Confessions of Bay City’ Power On; Jacklyn Zeman and Nicolas Coster Take the Hot Seat! As we previously reported, the online sudser “The Bay” is returning with an all-new Season 12, and the popular “Confessions of Bay City” has returned to lead up to the exciting debut event! And today, the alter egos of Nicolas Coster (Mayor Jack Madison) and Jacklyn Zeman (Lady Sofia Madison) are taking the hot seat to talk family, romance and skirting scandal! Patrika Darbo, Judi Evans, Ronn Moss, and Sean Kanan have joined The Bay for its upcoming season. The web series The Bay returns to the web with its latest installment, titled Chapter 12, on Thursday May 1, 2014. The new season will see the addition of some actors who, while new to The Bay, will be familiar to many soap fans. Read the entire SOAPCENTRAL.COM article HERE. 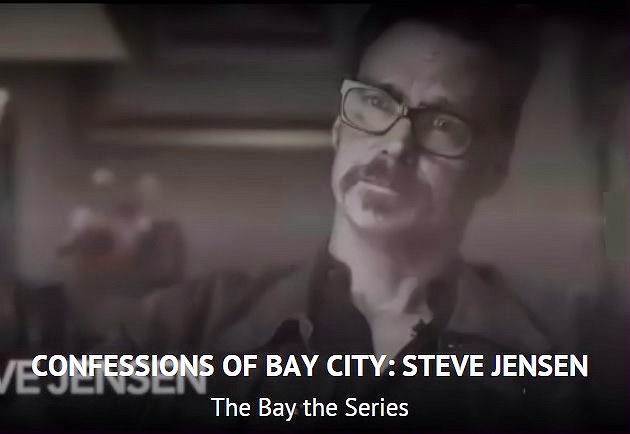 SOAP OPERA NETWORK: ‘The Bay’s’ ‘Confessions of Bay City’ Continue! As we previously reported, online soap opera “The Bay” is returning with an all-new Season 12, and the popular “Confessions of Bay City” has returned to lead up to the debut event! To kick off this new round of CONFESSIONS, the town's notorious villain Steve Jensen — played by Matthew Ashford (ex-Jack, DAYS) — returns to the hot seat and shows us that he is as wicked as ever! Watch Ashford's episode by clicking here, then check out newer ones by Derrell Whitt (Will) and Jade Harlow (Lianna; Sheryl, DAYS) and get ready to tune in for chapter 12 of THE BAY in May! Read ABC SOAPS IN DEPTH's entire article HERE! Chapter 12 of THE BAY doesn't start until Thursday, May 1. However, in the meantime, fans of the Web soap that stars Mary Beth Evans (Sara; Kayla, DAYS OF OUR LIVES), Tristan Rogers (Lex; Colin, THE YOUNG & THE RESTLESS), Lilly Melgar (Janice; ex-Lily, GENERAL HOSPITAL) and many more daytime favorites can check out THE BAY: CONFESSIONS OF BAY CITY, a "pre-show" for the Internet drama series. 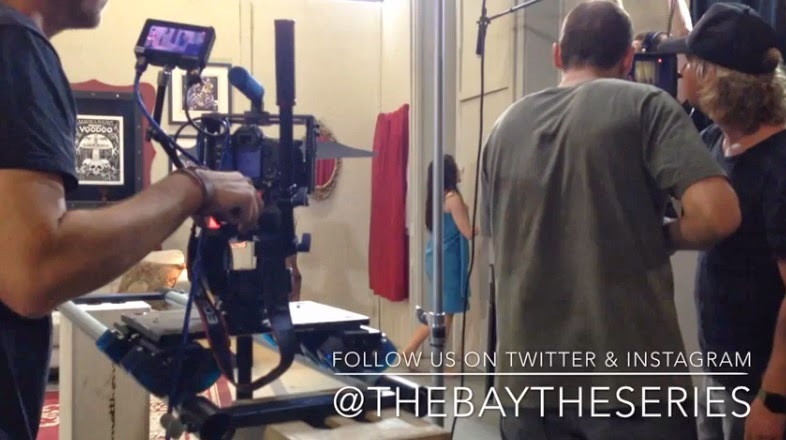 If you’re ready for more secrets, scandals, passion and romance than ever before, you’re in luck: The Emmy-nominated online soap opera “The Bay” — produced by the Gregori J. Martin founded company LANYfilms Productions — is returning with an all-new Chapter 12 that promises to deliver sudser standards with a serious bang! Co-Executive Producer and series regular Kristos Andrews (Peter Garrett) takes us through the set and introduces us to the crew behind Chapter 12 of THE BAY The Series. On set of the Emmy Nominated series as well are series regulars Matthew Ashford (Steve Jensen) and Jade Harlow (Lianna Ramos), co-executive producer Derrell Whitt (Will Campbell) and Executive Producer / Creator / Director Gregori J. Martin. If you’re ready for more secrets, scandals, passion and romance than ever before, you’re in luck: The Emmy-nominated online soap opera “The Bay” — produced by the Gregori J Martin founded company LANYfilms Productions — is returning with an all-new Chapter 12 that promises to deliver sudser standards with a serious bang! What’s more, the cast has already begun new installments of the ever-popular pre-launch “Confessions of Bay City” videos in which Bay City’s biggest and baddest take the hot seat for jaw-dropping confessions!